Teatteritarinoita: Sue Tanner: Welcome to Sointula! Ystävämme Sue Tanner Sointulasta oli Yle Aamu-TV:n haastateltavana perjantaina 7.6. (http://areena.yle.fi/tv/1941070) yhdessä Tuomo Aitan ja Tero Leskisen kanssa. Seuraavassa Sue kertoo omin sanoin, kuka hän on, mitä Sointula on nykyisin ja miksi he haluavat meidän esiintyvän siellä. I am Susan (Tanner) Ness and I returned to live in Sointula six years ago when I retired from a career in teaching. The year after I retired I was asked to take on the role of Chairperson of the Sointula Museum Committee. It is through the Sointula Museum that you contacted me asking for information about Matti Kurikka and the utopian commune that he established in Sointula in 1901. I am on the right, my brother, Murray, is in the middle and my sister, Barbara, is on the left. We are beside the grave markers for Teodor and Amanda Tanner and our parents. The members of our museum committee were delighted to share as much information with you as we could. 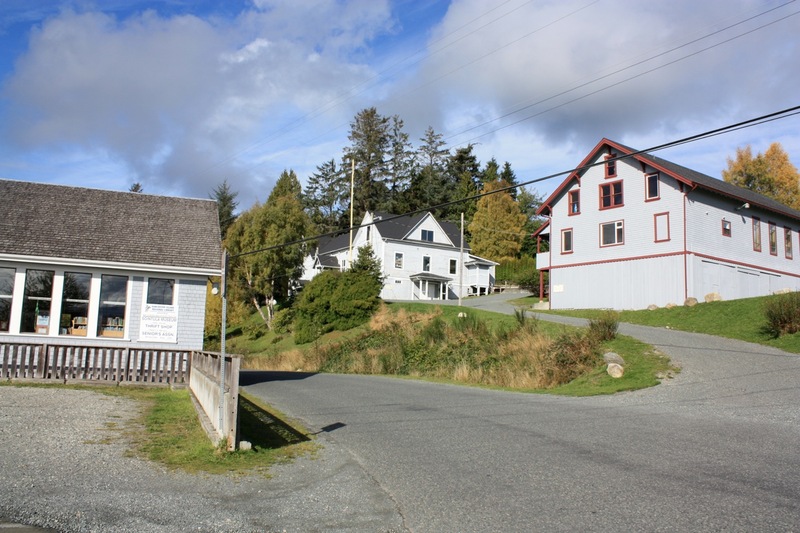 The idea that our little town of Sointula on an island off the west coast of Canada was still interesting to Finns after more than a hundred years amazed us. There were many of us who followed the progress of the Masalan nuorisoteatteri production of Sointula. You sent us links to articles in Finnish newspapers and Ray Myrtle, a cousin of Sointula resident, Loretta (Myntti) Rihtamo, attended the play in Finland and wrote an article for our local online newspaper. We even printed up the poster of the play and displayed it in public locations around town. I shared links about the play on Facebook. The word definitely spread around Sointula and to Finnish Canadians. My father's stepfather, Teodor Tanner, was in the first group of Finnish settlers who came with Kurikka in late 1901 and early 1902. My Mummu, Amanda, arrived in 1905 as a young widow with three children after the death of her first husband in a coal mine explosion in Washington state, USA. Her brother, Matti Riksman, and his wife, Katri, had come to Sointula in 1902. Here's a picture from early Sointula years. Teodor Tanner is the man on the right. Mummu married Teodor Tanner and raised her family here. My father, Art (Arto), became a logger and fisherman. He married my English Canadian mother in 1945 and she moved to Sointula. Our family lived in Sointula until 1965 when we moved to a suburb of Vancouver. Even though I lived away from Sointula for over forty years I visited frequently and when I had children I brought them here to experience the unique lifestyle and the Finnish culture that I missed in the city. Even today, the spirit of the early Finns can be felt here. That is why I returned as a retiree. It has always been home. As I said before the spirit of the early Finns can still be felt. We are in need of our sisu now as much as ever as we are a community in transition. For many years the people of Sointula made a very good living from the rich resources of the sea and the forests. Salmon fishing has declined seriously over the last few decades and there are not as many jobs in logging. Today, most of the new residents are retirees like myself and many of the homes are only occupied in the summer by people who use them as vacation homes. Descendants of the early Finnish settlers still live here and many of the non Finns who have arrived over the years are people of many talents, artists, writers and musicians. We all love our community and want it to thrive. The area around us is wild and beautiful. Tourists who visit, often return year after year. There is no doubt that Sointula will endure but change is inevitable. About the same time you contacted me, Dr. Ed Dutton from the University of Oulu contacted the museum as well. He was researching, Kalervo Oberg, a noted American anthropologist who is known for developing a model of "culture shock" that explains the stages individuals go through when they experience life in a new culture. 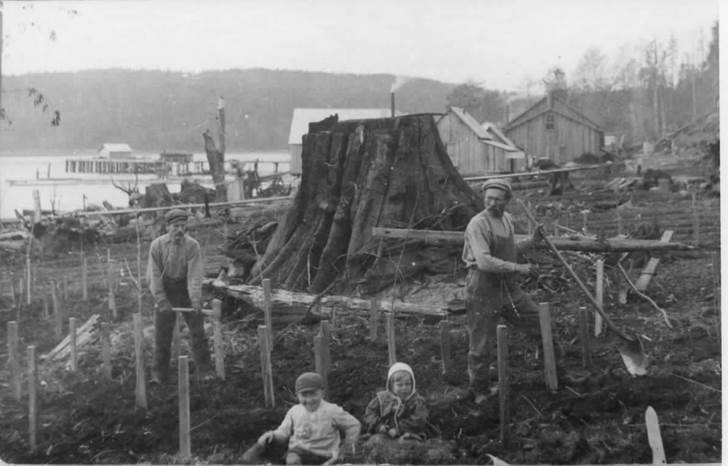 Dr. Dutton had discovered that Kalervo had spent the first years of his life in Sointula as his father, August Oberg, was the treasurer for the Kalevan Kansa and a staunch Kurikka supporter. Dr. Dutton felt that Kalervo Oberg's ideas were strongly influenced by his family's experience in Sointula and Dr. Dutton has since published a book, Culture Shock and Multiculturalism (2012). The idea for the conference was generated by our discovery of Oberg's connection to Sointula and Dr. Dutton's work. It is titled, Culture Shock, Utopian Dreams, Hard Realities. Dr. Dutton will be the keynote speaker and the other speakers will talk on varying aspects of the theme. Here is a link to the conference website: www.sointulan.com. We can't think of a better way to entertain Sointula residents and our conference visitors with your production of Sointula on the stage in the old Finnish Organization Hall where so many Finnish plays and musical events were performed over the years. Everyone is interested and excited. Thank you for your efforts to bring this wonderful opportunity to Sointula. Here's a picture of the Finnish Organization Hall on the hill on the left and the Athletic Hall on the right.